Everything took place in seconds. 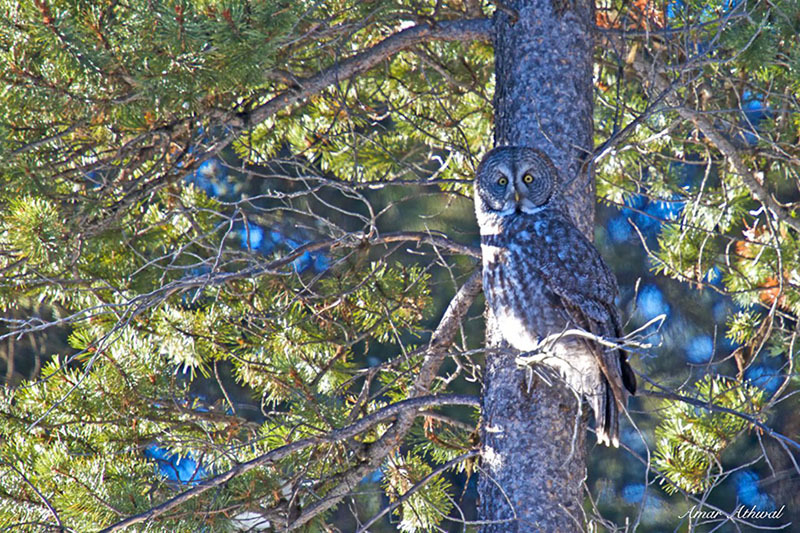 I was driving and saw an owl fly across the road about 100 meters ahead of me and soon determined it was a Great Gray Owl. Watched it perch on a tree, I pulled to the side and quickly grabbed few pictures. Right after that it flew away, not sure because of me or cause of other vechicles going by.